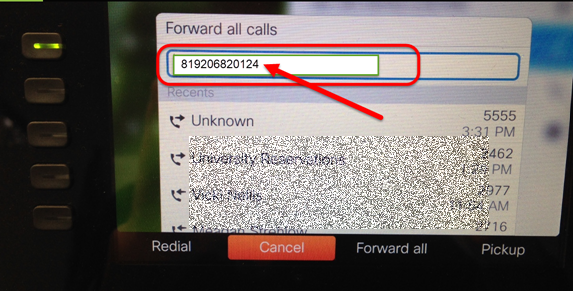 Follow these steps to set up Call Forwarding on your phone. Method 1 is set up on the physical phone. Method 2 can be done remotely from a web browser. 1. 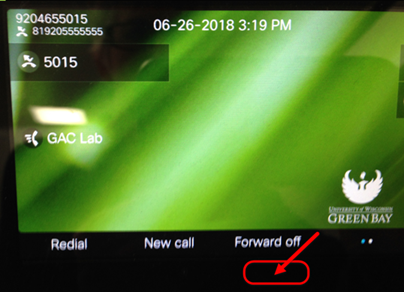 Press the "Forward all" button on your Cisco Phone. 3. 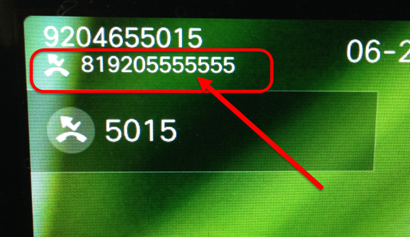 The Call Forwarding number will display in the upper left-hand side of the phone. 4. 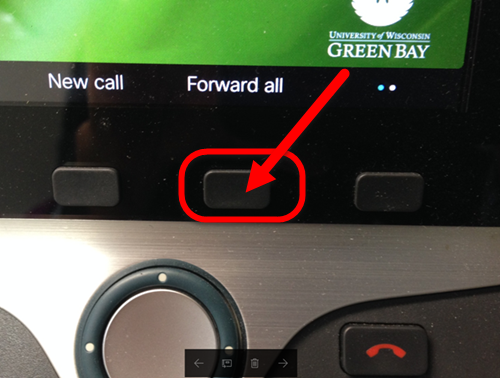 To cancel the Call Forwarding, just press the "Forward off" button. *Note: If you prefer to have your calls delivered to BOTH your office phone and your cellphone please contact the Help Desk and ask for assistance with "Single Number Reach".